Orwocolor was made by ORWO at Wolfen in Germany (in the part that was free of American imperialism and Nazism) and is related to Orwochrom and original Agfacolor which was also developed at Wolfen. Wolfen, now a place abandoned and more or less vandalized. I think that destruction of ORWO after Anschlüß was deliberate. Ironically ORWO might have outlived Agfa in film format. I ran a field “test” on ORWOchrom already and in it I wrote about the origins of this color process. Below are scans from a roll of Absolutely no post processing was done on the first three. No curves tweaking. No colors added. No burn or dodge. Just actual scan with no processing. This is how it came out. I would assume that’s how it would print in a lab. 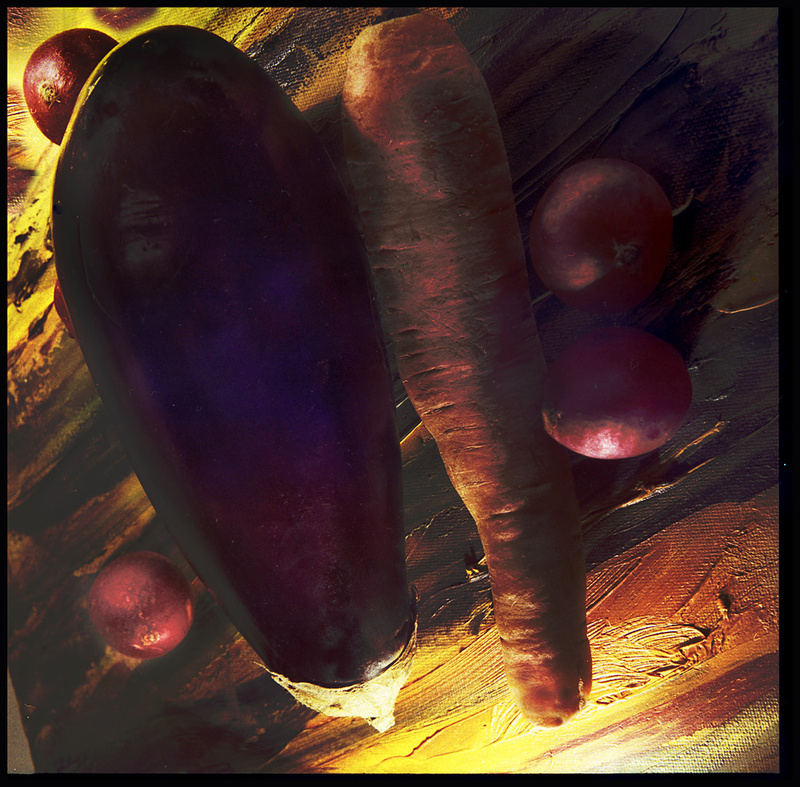 I have all those images in my flickr stream but I deleted the vegetable supernova (the last photo) because it is so dissonant. 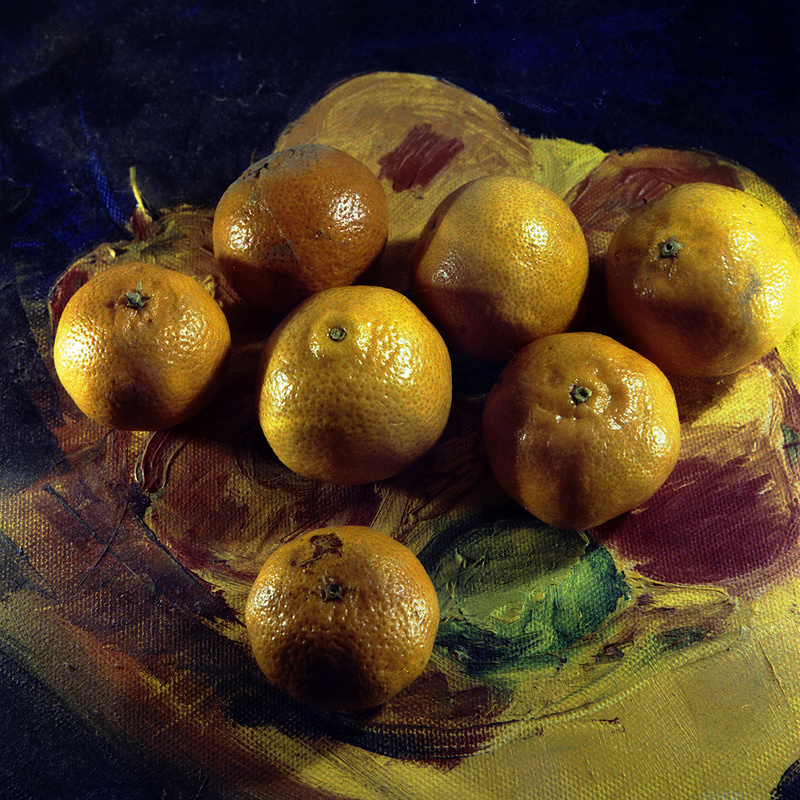 Scanned as Agfa Optima (Agfa being closest relative and of course the scanner does not have an option for Orwocolor). 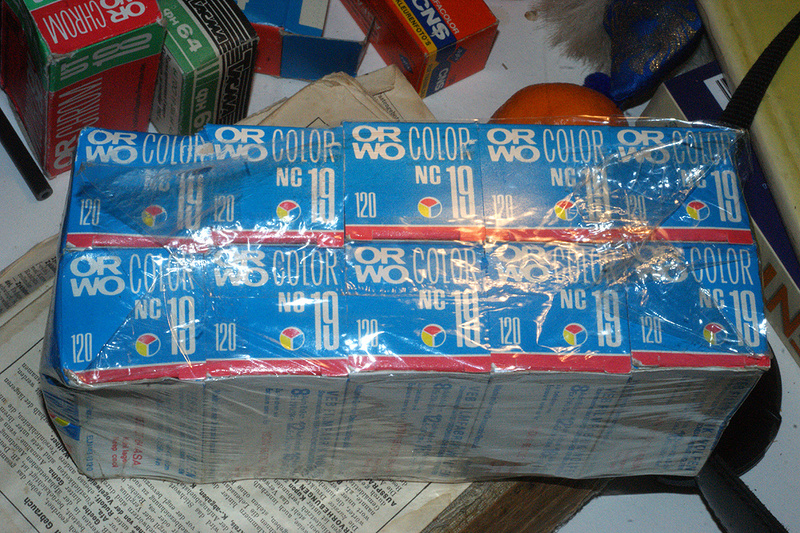 German Orwocolor NC19 is a negative film. 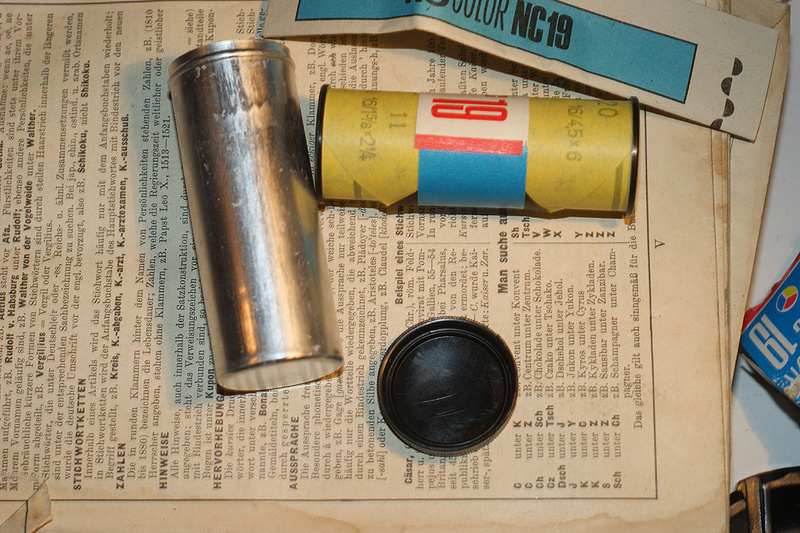 Although ORWO made C-41 film in the 135 format before it was destroyed by the enemy the NC19 ctually uses old Agfa and own ORWO technology (I mixed the chemicals and developed the film according to ORWO’s formula). 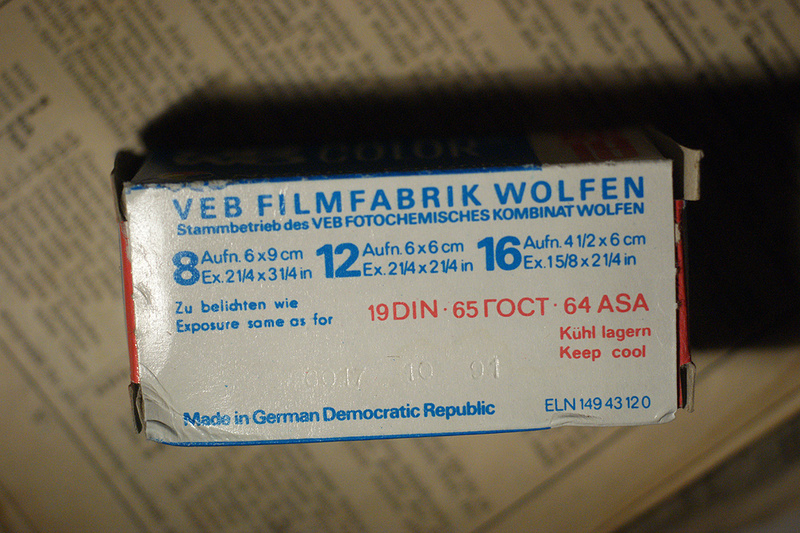 This film was made in 1987 or 1988 and expired in 1991 (that’s the expiration date). The film was amazing, it is astounding film – and it is easy and forgiving to use, has enormous latitude and apparently – if this picture can serve as evidence. 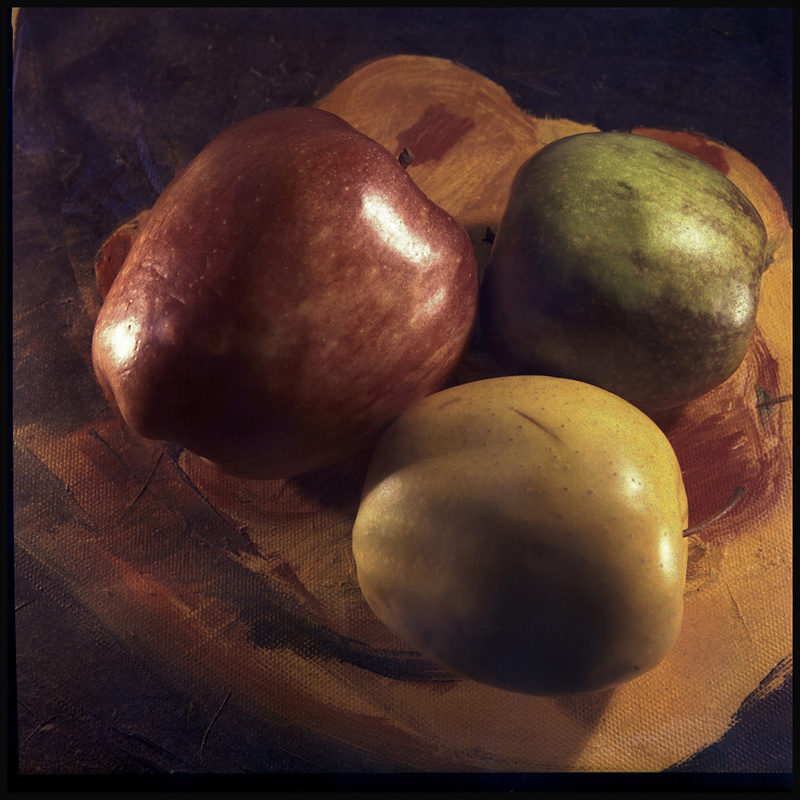 Three Apples. I’ll be posting a few more stills – I shot only one roll of this fabulous film. The actual scan is 84 mb, and the detail is just dramatic. These are tiny scans for the web (click on the image to see it larger but they are still very small). self-made chemical solutions (raw chemicals bought from Calbe Chemie, in its past an ORWO enterprise). or Vegetable supernova. I might delete it later.